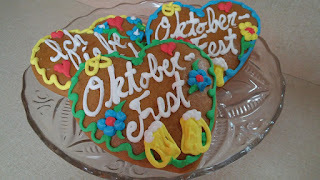 Oktoberfest traditionally begins in mid- September and runs into the beginning of October. In our area though, Fall Volkfest celebrations continue throughout the month. Perhaps you have a celebration of your own planned. 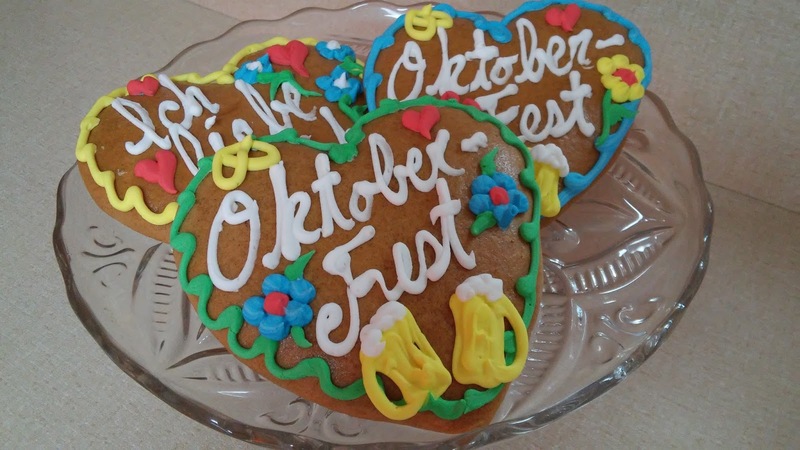 With 85 years of baking in the German Tradition, Haegele's has Oktoberfest covered. With the best apples of the season right now, our Apfel Strudel tops the list. Fresh Apfel Kuchen, Bienenstich, Black-Forest Cakes, Sacchertortes, Bavarian Lager Pretzels, and Gingerbread Hearts round out the line-up. Rye bread and small hoagie rolls (the perfect size for every wurst) are available for order as well. So in the spirit of Oktoberfest, give a gingerbread heart to your sweetheart "Ich Liebe Dich" (I love You). Hoist a mug "Prost" (toast). Share a pretzel and sing along "Ein Prosit, Ein Prosit, Der Gemutlichkeit" (A toast, a toast, to cheer and good times)! To cheer and good times in deed!